This gallery includes some of the largest and most commonly seen caterpillars found in North America. 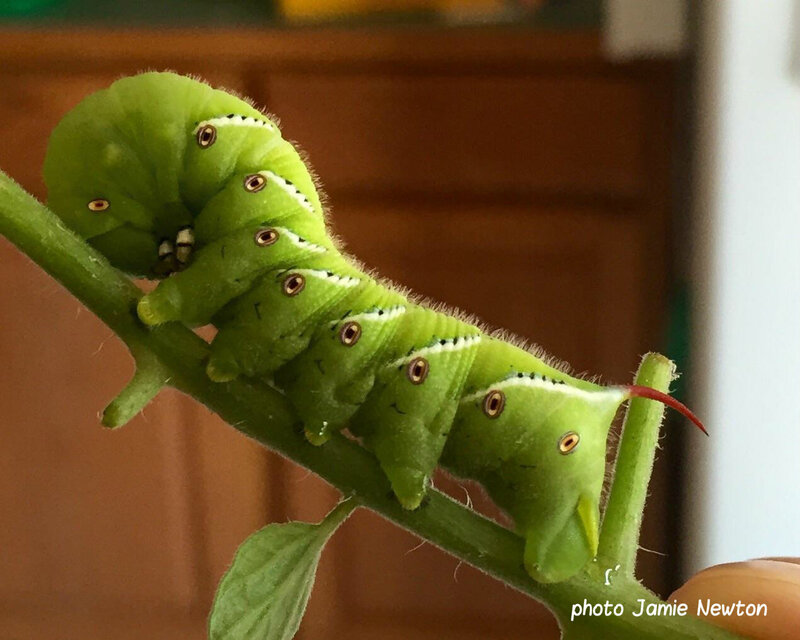 These include the Giant silkworm moth caterpillars of the Saturniidae family and the magnificent Hawkmoth caterpillars of the Sphingidae family. The Luna Moth (Actias luna) is regarded by many to be one of the most beautiful moths in North America. 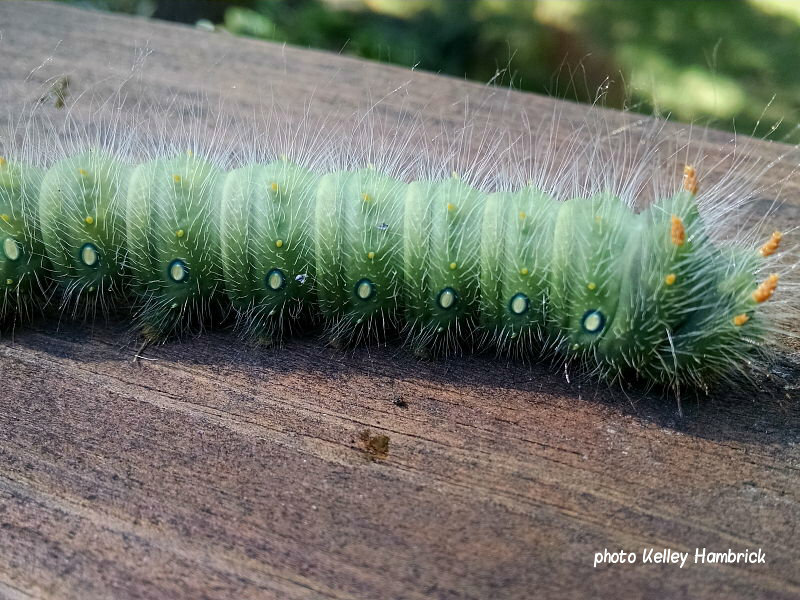 The caterpillars of the Luna Moth and the Cecropia Moth (Hyalophora cecropia) are commonly reared by enthusiasts. 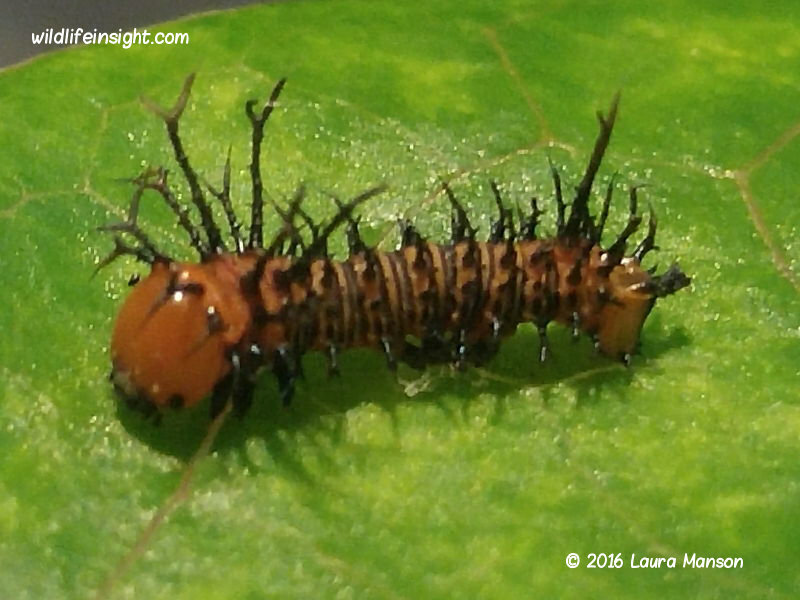 The Io moth caterpillar (Automeris io) and the Buck Moth caterpillar (Hemileuca maia) are two species in the subfamily Hemileucine that have stinging hairs. 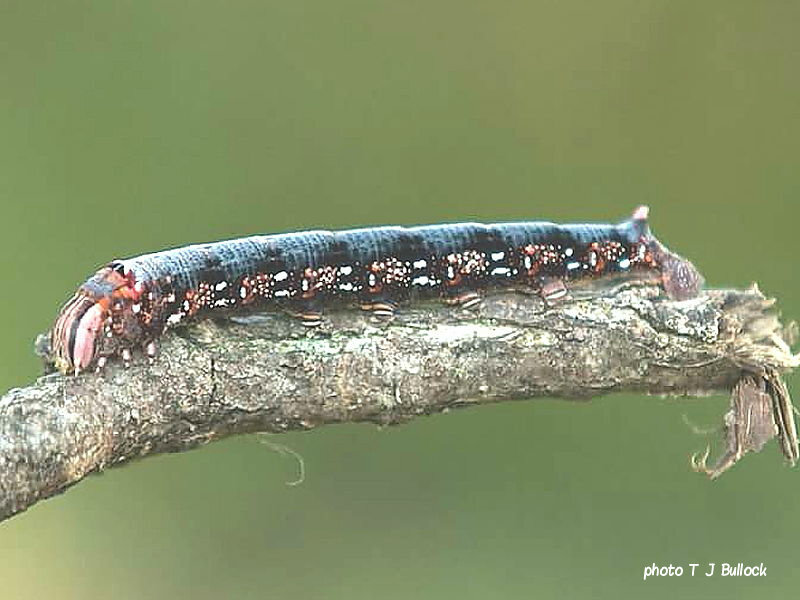 Several species of Buck Moth occur in North America and caterpillars can be variable in color. 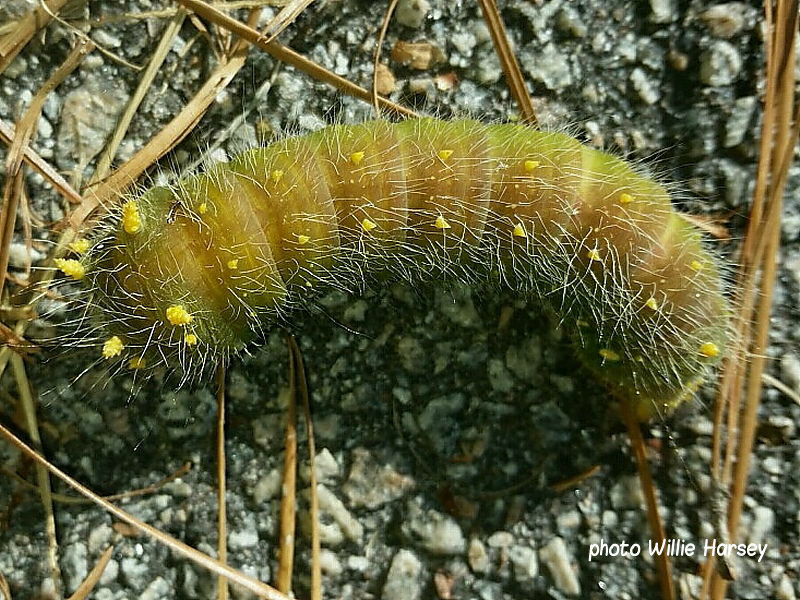 The Imperial Moth caterpillar (Eacles imperialis) also has great variation in color and is one of the most commonly sighted large caterpillars. 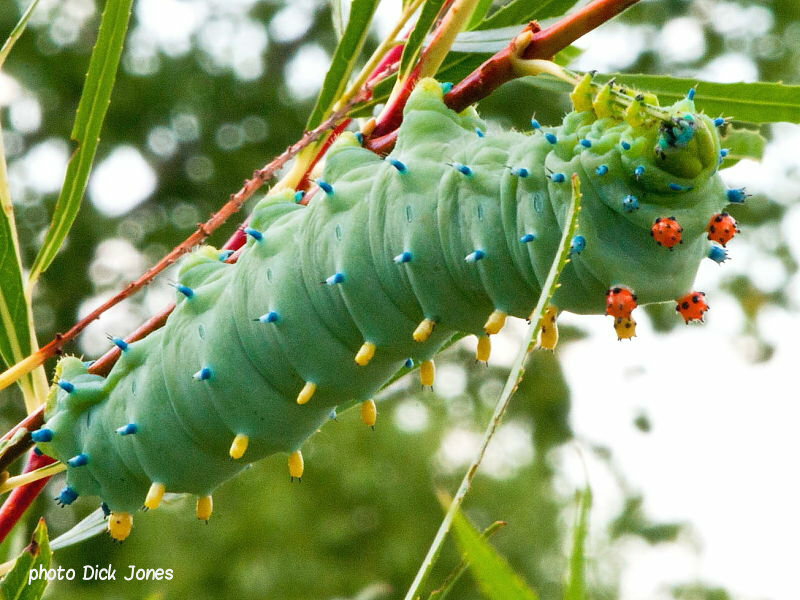 The huge and fearsome looking Hickory Horned Devil caterpillar (Citheronia regalis), also known as the Regal or Walnut Moth, is a member of the subfamily Ceratocampidae. 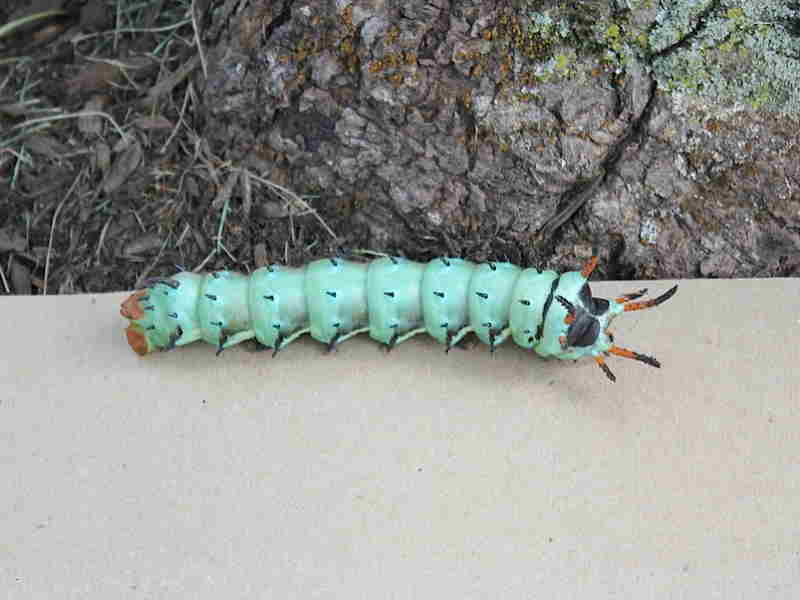 This caterpillar reaches 12cm and is one of the biggest in North America. 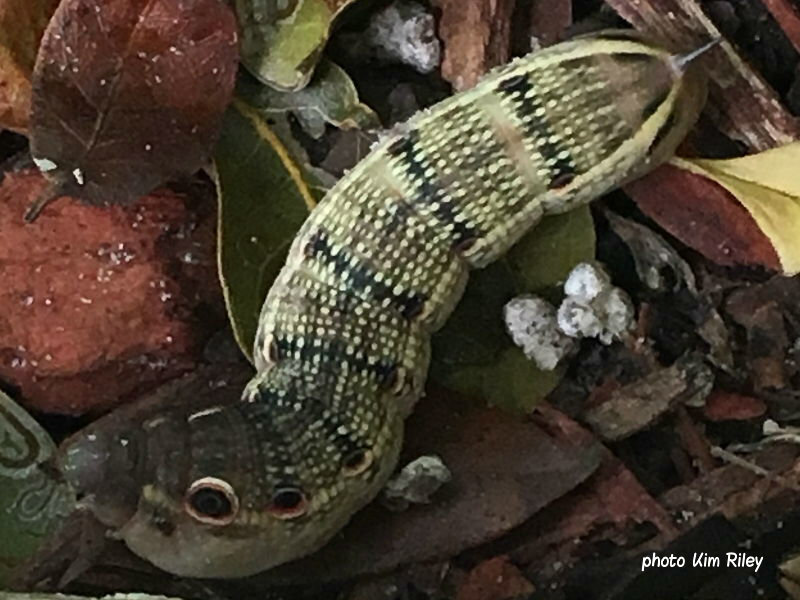 Spiny and Pink-striped Oakworms are also members of the subfamily Ceratocampinae and two of the smaller species of Saturniid caterpillars reaching 6cms. Saturniidae-Giant Silkworms and subfamilies Ceratocampinae and Hemileucine. 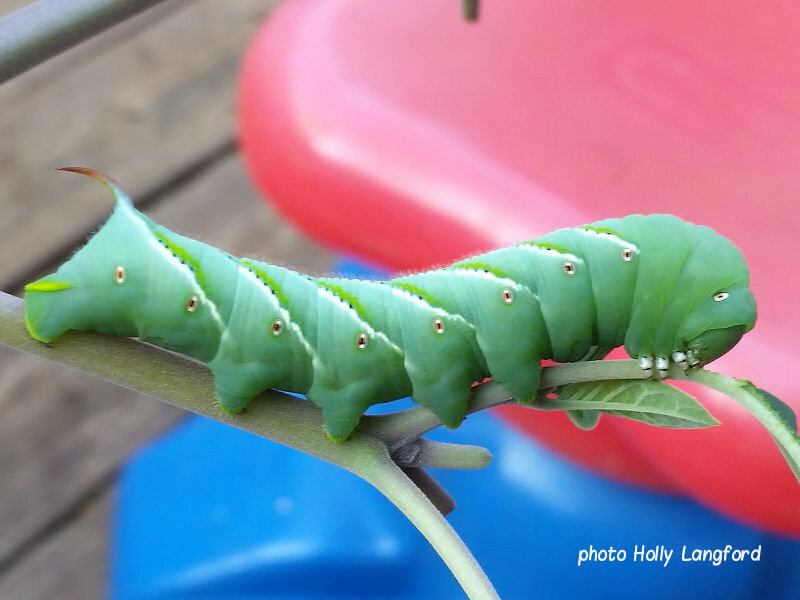 The large caterpillars of the Sphinx or Hawkmoths, family Sphingidae, are also known as Hornworms. 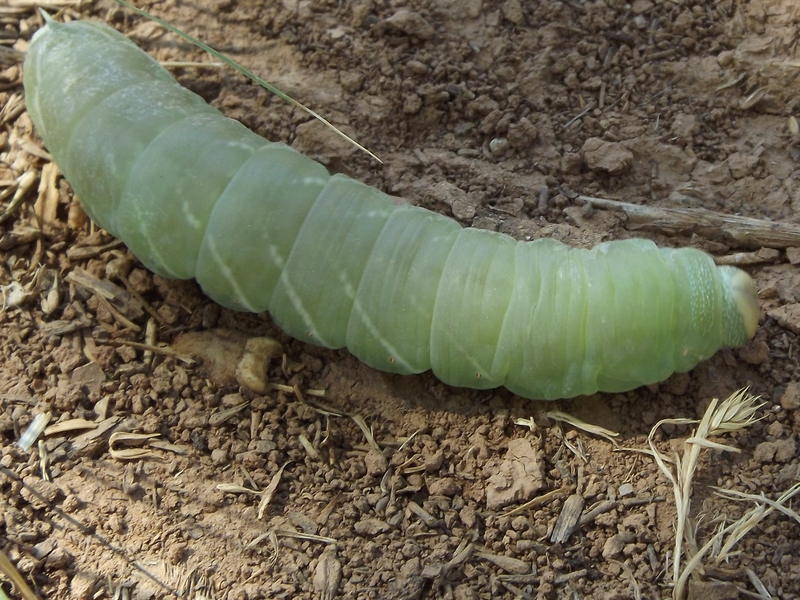 The horn refers to the hornlike projection on the dorsal area at the rear of the caterpillar. 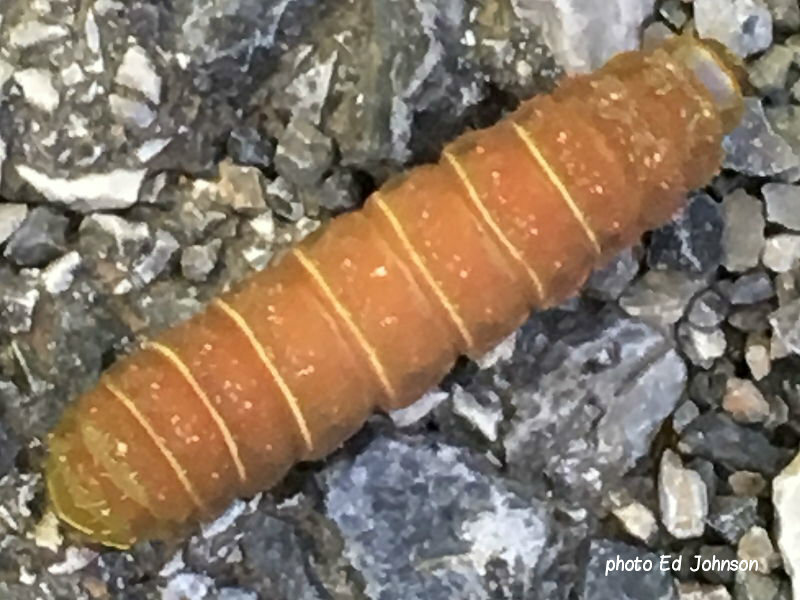 Many Hawkmoth caterpillars have this, although on a few it is either absent, very small or appears as a slight, button shaped protuberance. 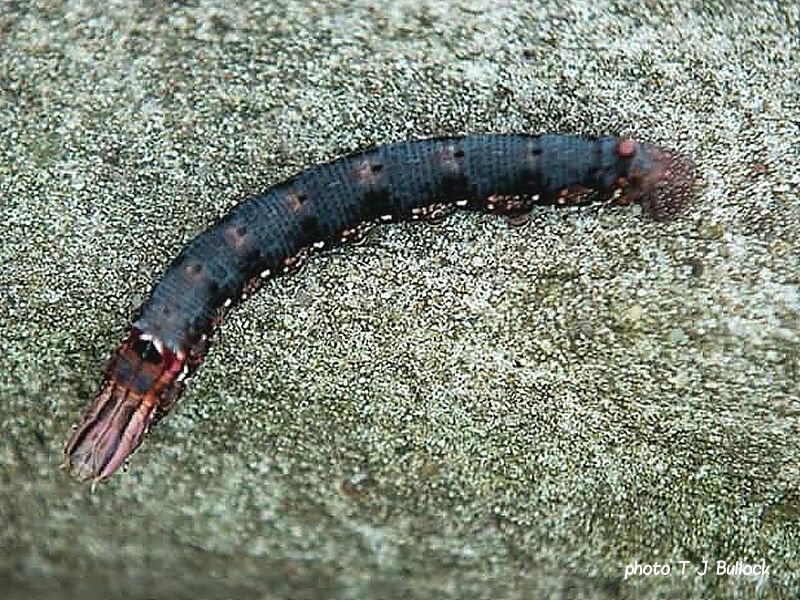 The tail horn also shrinks and may disappear in some prepupating caterpillars. 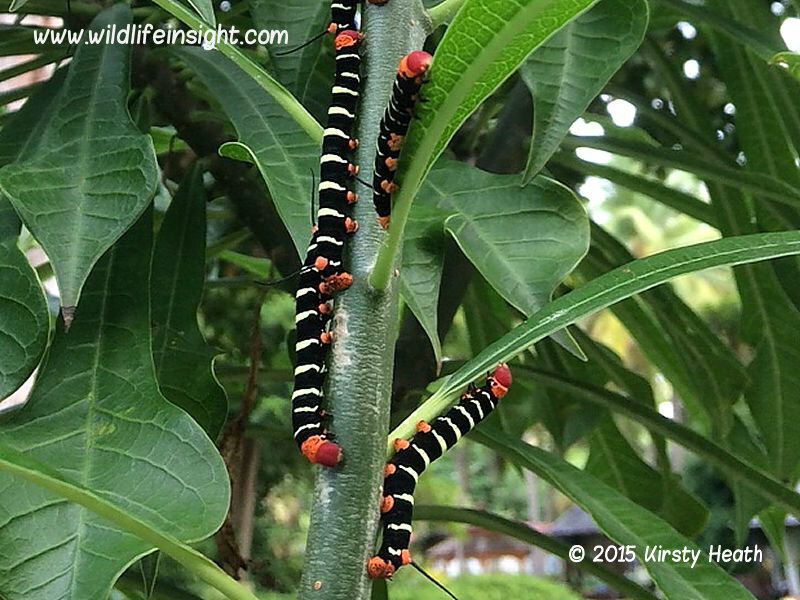 The caterpillars of many species can be up to 15cms long with very variable pattern and color even within the same broods. The adult moths are often strong fliers and many are migratory, flying large distances from southern states and countries to reach northern states and parts of Canada.